We keep hearing (in several philosophical quotations from the older and wiser) that the answer to that quintessential question on the meaning of life, is simply to live the life you are given, living it as fully as possible. 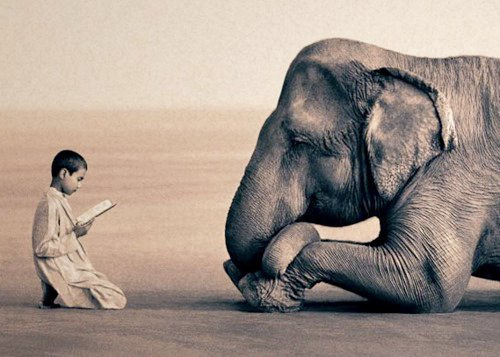 Which tends to evoke another question: And what, pray tell, does “fully” encompass? That is where self-leadership comes in. We make the ‘self-’ distinction intentionally in our Managing with Aloha culture-building, where self-leadership is about you first, before you presume to tackle leadership, which is about others too. The value of Alaka‘i will include both in a person’s life. In one sentence: Self-leadership is the growing process of arriving at your own choices in life, living it fully. So go for it: Make it about you. We all win when we get your best. 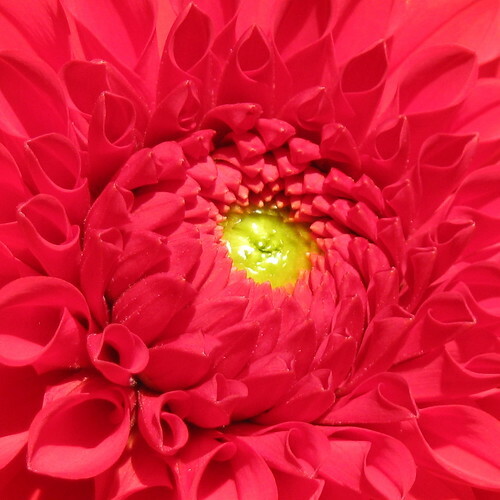 In Managing with Aloha, we’ll press back on defining “fully” too, however we do have the presumption of Aloha, feeling your Aloha Spirit must be an integral part, and it will be when you honor your sense of self. Growing, however, is a beautiful process too, for it is filled with a multitude of those moments. Self-leadership in one sentence has long been an exploratory exercise for me: My sentence has gone through several evolutions, and it keeps getting shorter, and more focused. The two words I have never been able to edit out, are ‘growing’ and ‘arriving’ for their appeal is so strong. To arrive can be so rewarding, and so meaningful; why not pause and celebrate when it happens? Try the exercise for yourself: What is self-leadership for you? Can you articulate it in a single sentence? 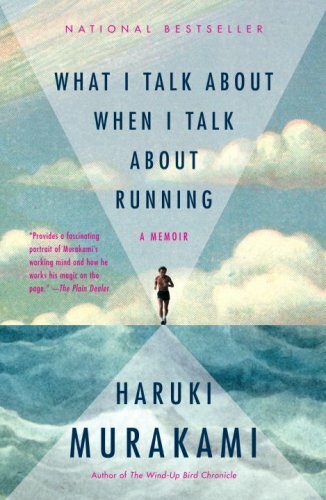 One of the book reviews I’d like to share with you soon, will be on Haruki Murakami’s memoir, What I Talk About When I Talk About Running — and I will; not quite ready. Still sitting with it, in that afterglow a book can give when you’ve read it all the way through but keep thinking about it, and keep going back to reread certain paragraphs. Meanwhile, here is a passage I found particularly fascinating. If you have not heard of him, Murakami is both marathon runner and writer. He’s considered influential in postmodern literature, is probably Japan’s best-selling novelist globally, and he’s prolific, writing essays and short stories as well. He also works as a translator, and has published translations of F. Scott Fitzgerald, John Irving, Raymond Carver (who he calls “a writer beloved by me”) , Tim O’Brien, Chris van Allsburg, Truman Capote and Paul Theroux. This intrigues me because of all I write in Hawaiian, even though English is my first language — my only language really, for to be accurate, I know a great deal of Hawaiian and think with the kaona (subtly hidden, storied meanings) of my life-long Hawai‘i mana‘o (beliefs and convictions rooted in sense of place), but I don’t speak it, not as language. My speeches and presentations are all in English, of course, but I actually write them by starting with Hawaiian for the same reasons Murakami describes, with a small difference: My Hawaiian is more limited, but it is actually much more descriptive to me, especially because my thinking about it is so values-based, and my speeches essentially, are about some kind of behavioral coaching. English frustrates me quite a bit, even after speaking it nearly exclusively all my life. There is just too much of it, and it drives me crazy how people will use different words indiscriminately. My pet peeves, as you know, are management versus leadership. I remember how much difficulty I had in the early months of writing this blog because I used way too much Hawaiian then, and would lose people constantly. I couldn’t even understand my own challenge at first, because my ‘hapa talk,’ half English, half Hawaiian/local slang, was easily understood in my real world — my conversational, every day speaking habits are par for the course in the islands. World-wide web publishing was a whole new ballgame, and Hawaiian is not going mainstream any time soon! I know how fortunate I am that some of my best friends today were early readers who stuck with me. I think better by thinking in writing, and so I’ve had to learn to go farther into English than I normally would have in the past — and farther than I normally want to; Hawaiian is so much more satisfying. When I start writing in Hawaiian, I start thinking within stories and concepts instead of with choosing ideas, or with writing descriptions. So good to feel I have company in this, though we have our differences, Murakami and I! For more about Haruki Murakami, I found this Sunday Times UK article interesting (from 2008): Ten things you need to know about Haruki Murakami: The key facts about the coolest writer in the world today. Check out the U.S. website he has with Random House too: It’s as cool and mysterious as he is. If this is enough to intrigue you about Murakami, and you aren’t runner or writer, I’d recommend you try reading one of his novels or short story collections first: I’ll certainly be reaching for more. Have you decided on your word (or 3) for the year? Are you getting emphatic in your coaching? Are you taking a stand? Have you hit the ground running, starting with a theme for January? Your words are so powerful: Have you come up with a make-this-real mantra, or a strategic hit-list of your goals? Stick to them, and repeat them as often as you can. and the title they point to will show up. Drink your Kool-aid! Communicate it often! Share it when others agree with you. Intensify the flavor of your mix, and nourish yourself with the fresh energy which will fuel your efforts. 1. We will serve Great Managers directly, for Managers must become Game-Changers. The Web These Days | It’s like this: The time between having an idea and its public launch is measured in days not months, weeks not years. Same for each subsequent release cycle. Teams are small. Progress is iterative. No oceans are boiled, no monster requirements documents written. And what do you get? Facebook. Google. Twitter. Ravelry. Basecamp. TripIt. GitHub. And on and on and on. Obviously, the technology matters. This isn’t the place for details, but apparently the winning mix includes dynamic languages and Web frameworks and TDD and REST and Open Source and NoSQL at varying levels of relative importance. More important is the culture: iterative development, continuous refactoring, ubiquitous unit testing, starting small, gathering user experience before it seems reasonable. Not even my industry, really (not planning a start-up, tech alpha or public launch this year), but close enough in spirit, game-changing the small and nimble way that is so very attractive to me right now. It is just enough to make me shout, “Yeah!” and feel like I am on the right track. The year is young, but it is never too early to ramp up your energies. Drink your own Kool-Aid. Share it often. Start strong, interesting conversations when you catch someone else sipping your same-color Kool-aid so you can collaborate, and further challenge your most brilliant self. Watch for your red words, and listen for your red sounds. And if you need a place to share the good word, the comments are open!